I'm so happy to be the co-host of today's giveaway! 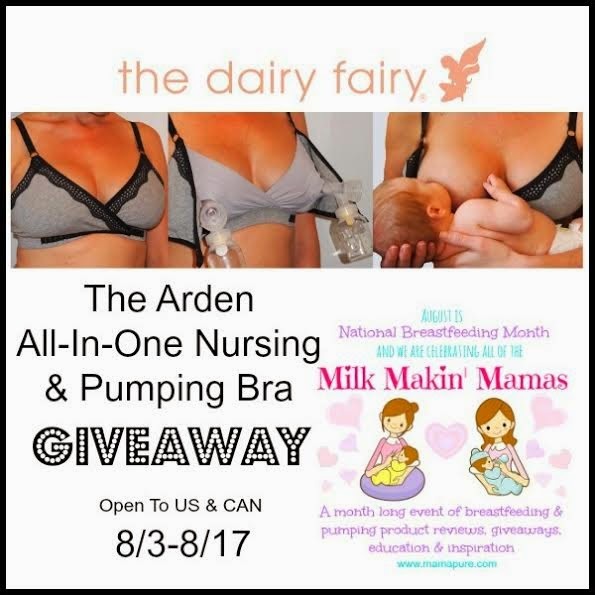 Enter for your chance to win an amazing Arden Bra from The Dairy Fairy. 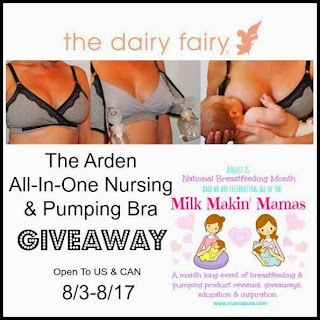 The Arden is an All-In-One Nursing & Pumping bra that allows you to easily pump and nurse at the same time as both sides are independent. Be sure to read mama pure's full review of the Arden Bra. This giveaway is open to the US & CAN and will run from 8/3-8/17. Void where prohibited.